March is almost over, which means I’ve been on my new and improved healthful eating regimen for weeks. How’s it going? Well, it could be better. It turns out that without the explicit threat of a lifetime of medication, I may find myself a bit more lax in my ways. However, last time around the doctor said I didn’t have to be so strict. So maybe we’re finding a happy medium here. This is a crazy week, and last night instead of writing, I spent some time with a friend who recently had a baby. So today that means instead of words, you get pictures. Some people like pictures more. And if any of these require posts of their own, just let me know in the comments, and I’ll take it under consideration. The Montague at Mab’s Kitchen in Troy. 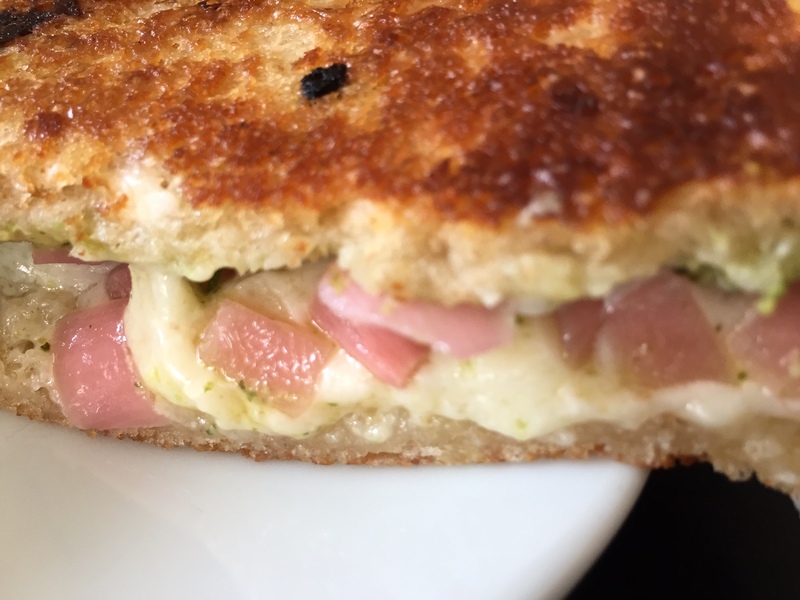 That’s smoked cheddar, homemade rosemary basil pesto, and red pickled onions. 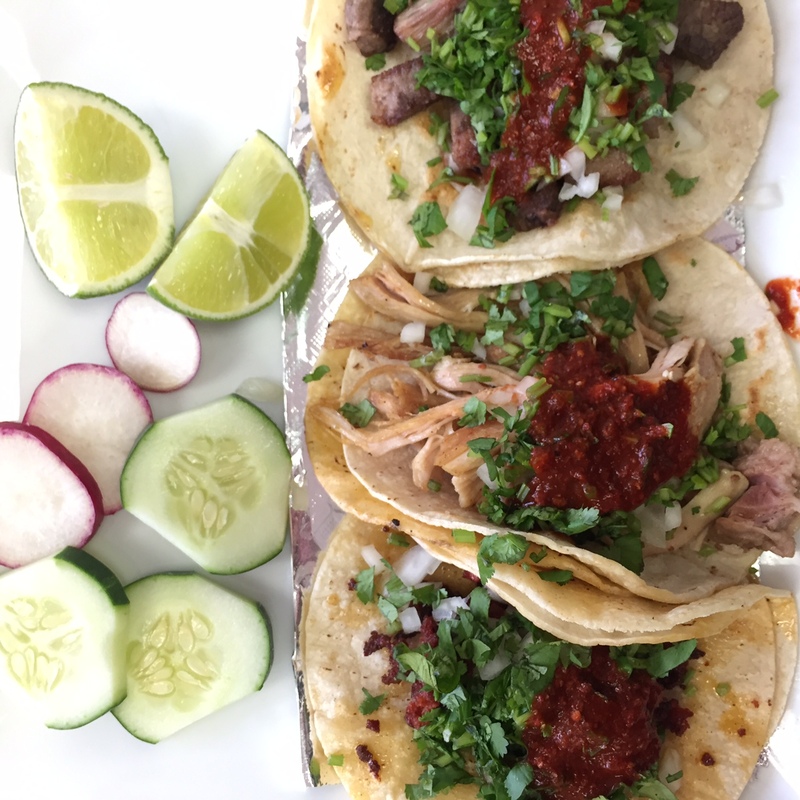 Tres tacos at Cocina Vasquez in Albany with great lighting. From the top down it’s steak, chicken, and chorizo. 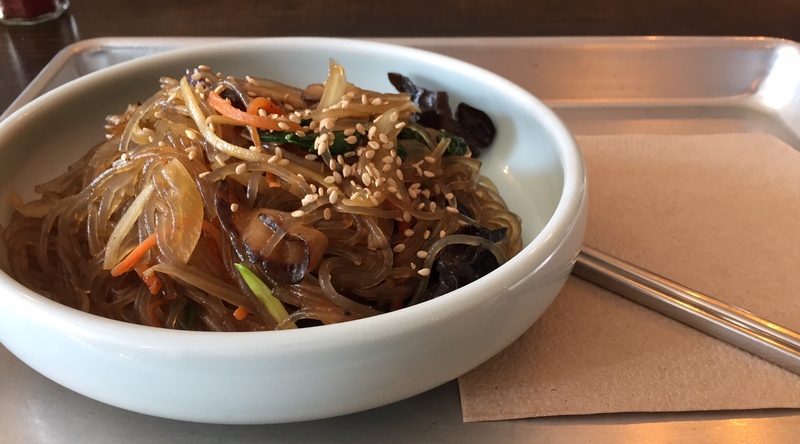 Japchae from Sunhee’s in Troy. There are many bowls of noodles, but this one is mine. 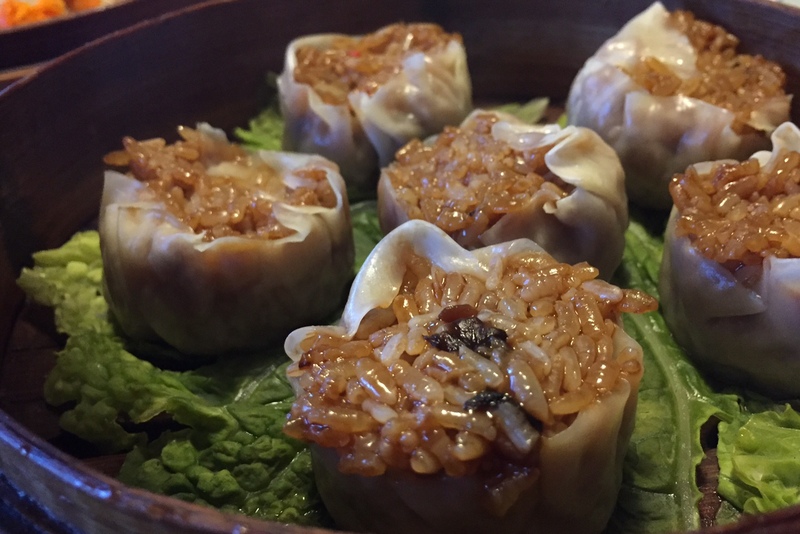 Steamed sticky rice shu mai at Ala Shanghai in Latham. The soup dumplings are marvelous, but you’ve seen those pictures dozens of times. These little purses are a lot of fun too. 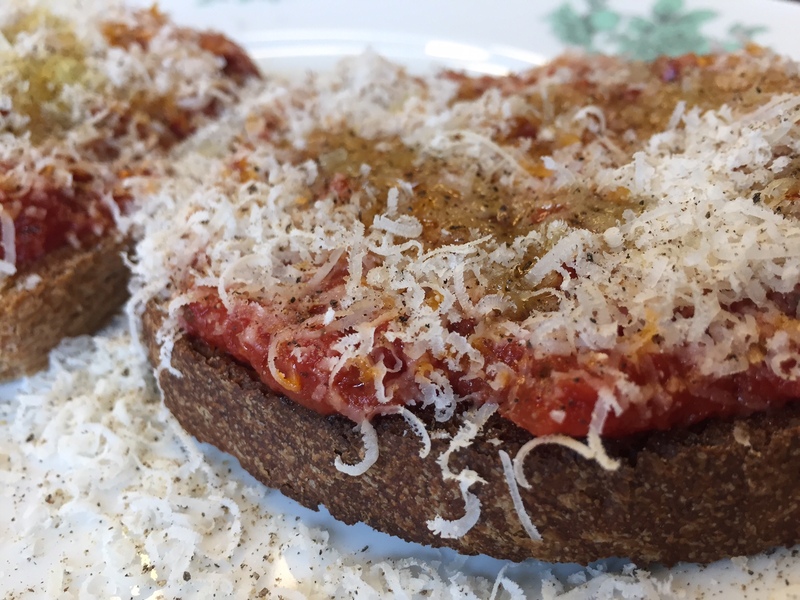 Nothing parmesan on toast at home. We talked about this earlier this month, I think. Turns out there was a picture of the stuff too. Man, I do love toast with toppings. Poutine at Tipsy Moose in Latham. Anyone can tell from looking at this that it’s not poutine. 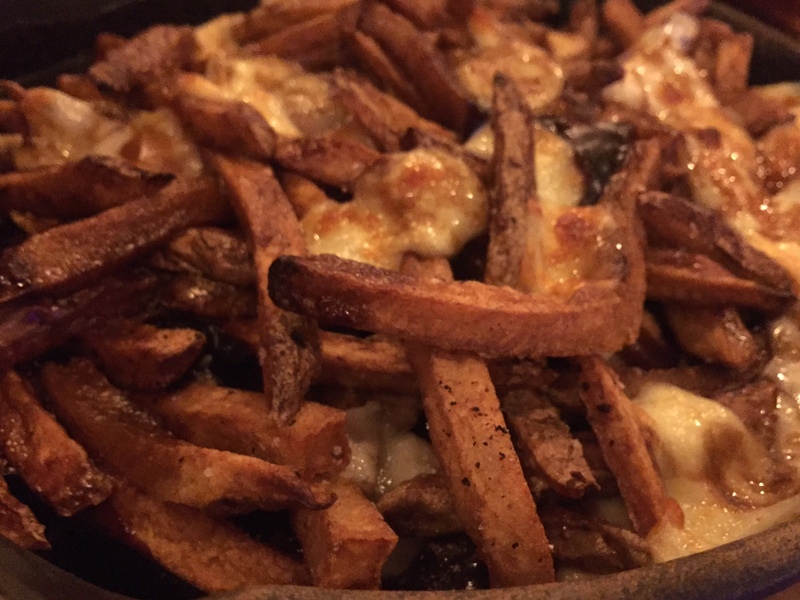 But there’s nothing wrong with a huge heap of fries in a cast iron pan with melted cheese and gravy. 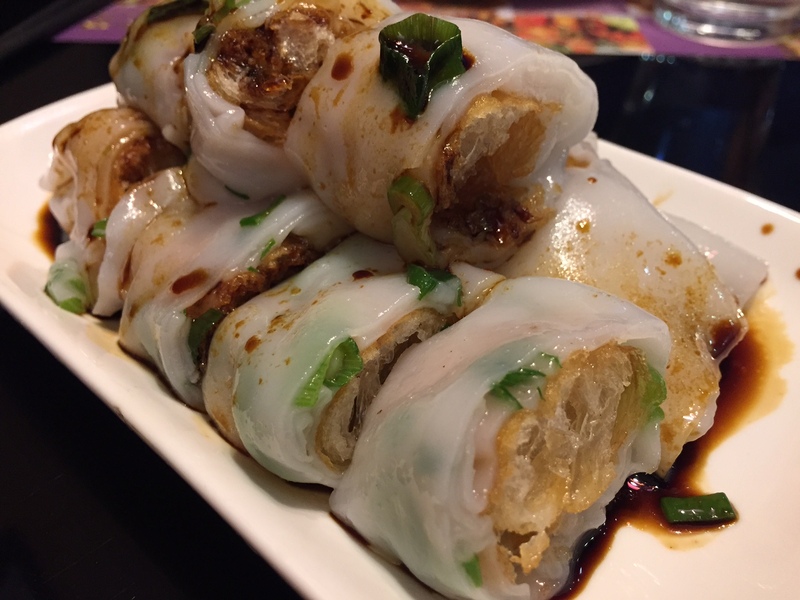 Crispy rice roll at Hong Kong Bakery in Colonie. This was literally the best version of this dish I had ever eaten. Not just at this restaurant, but anywhere. Young Master Fussy at most of it, but he let me have a few bites. Tagalong mole chicken taco from Ama Cocina at Cookies & Cocktails. The cookies are cooked into the mole. 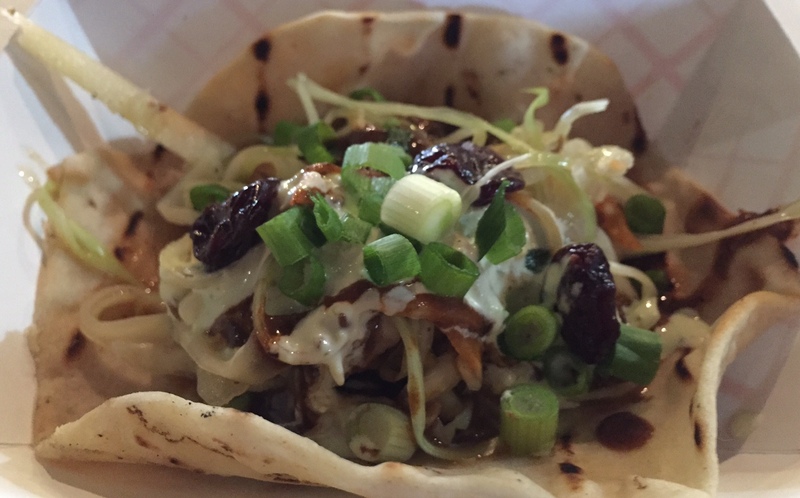 I do really enjoy how creative Ama Cocina gets with its tacos. Sure, they aren’t traditional, but they are a lot of fun. 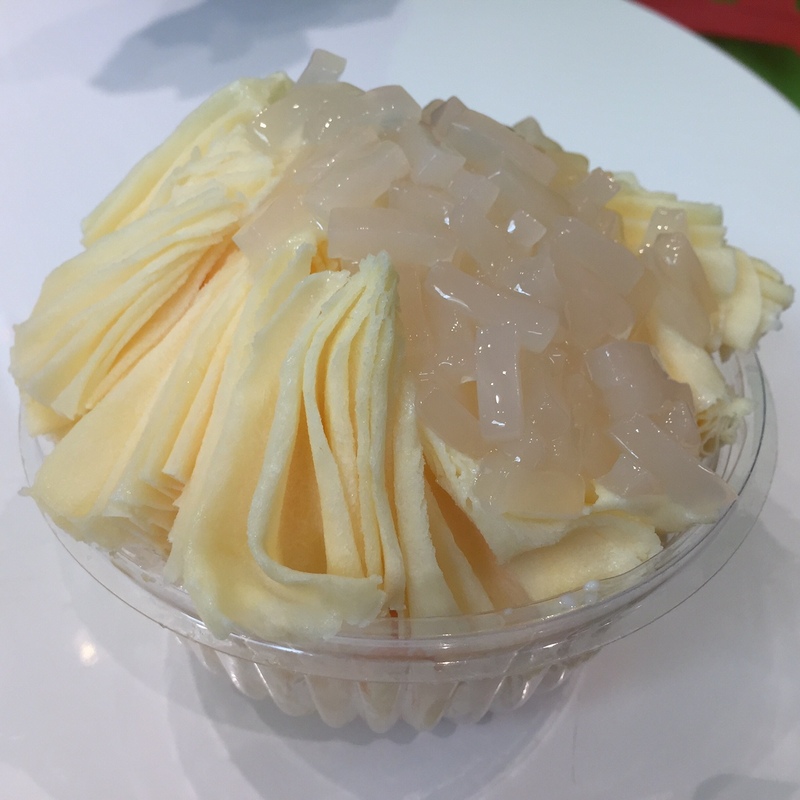 Mango shaved snow ice with lychee jelly from Berry & Berry at Crossgates Mall in Guilderland. This is apparently a thing. This was my first exposure to the form. I’d give it another go, but next time I might get a plain one with red bean and drizzled with sweetened condensed milk. That’s it. Have a great weekend. Maybe I’ll see you at the Jewish Food Festival on Sunday.